I am glad to announce that beer-shipments from Belgium to the US is back on track. Belgiuminabox is receiving feed-back from all our regular clients that the boxes arrive “in a timely matter” and “in good shape”. Shipments are followed via a “Track ‘n Trace” system from sender to receiver. Belgian and US Customs are playing a vital part in clearing the shipments to enter the US. Belgiuminabox will continue to do their shipments through BelgianPost and US Postal Services. BelgianPost has proven to be very a reliable partner, thrust-worthy, safe and the most cost-saving solution for oversees transport. 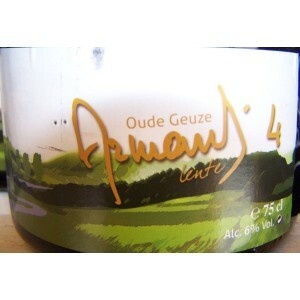 and introduced his latest Diamond-status Armand’4 Oude Geuze Lente to the public. This outstanding brew is a mix of 1, 2 and 3 year-old 3fonteinen-lambic. The brewing, aging, blending and bottling was all done with the signature of Master-Brewer Armand Debelder. The bottle itself is a classy Champagne-shaped bottle. This one-timer and limited edition is already a masterpiece and according to the beer-connaisseurs from BeerAdvocate and Ratebeer a class in it’s own. When I picked it up at the brewery Armand told me a little bit about the brewing of this magnificent Geuze while showing his cellar, he only used Challenger hops in the process. He is in fact the only Geuze-Lambic brewer to use Challeger hops to brew his beer. The Armand’4 Lente (spring in English) is greeted by lambic-fans worldwide. Belgiuminabox is pleased to be able to sell this great masterpiece. I wish Armand the best of luck and I hope he’ll continue to make great brews in the future. Master-Brewer Pierre Celis of Hoegaarden passes away. 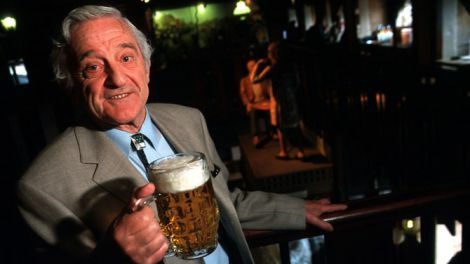 Anyone who is drinking a Hoegaarden White beer in the coming days, take a minute to remember Pierre Celis. The master-brewer from Brewery Hoegaarden passed away last Saturday in his beloved village Hoegaarden. In 1966 Celis started his own brewery in an old farm-house. He still new of how to make “Witbier” from the days he helped as a child in the local brewery of Tomsin, a “Witbier” brewer. In the first years Celis brewed for fun. His wife told him to take the Witbier with him on his milk tours and try to get a price for it from the villagers. Clients were enthusiastic about the fresh-sour taste and soon demand for the beer soared. By 1979 the brewer Pierre Celis bought a brew-house “De Kluis” in Hoegaarden and “Hoegaarden Witbier” was (re)born. Celis decided that his Witbier ought to be poured in the now typical Hoegaarden jam jars. A recipe for success was born. In 1990 Celis sold his brewery to Interbrew (now AB InBev). A couple years later he decided to move to Austin, Texas and start all over with a new brewery called “Celis Brewery” and brew his beloved “Celis White”. An instant success. After one year he already brewed 28,000 keggs of his beer. Only a couple of years ago he sold his brewery in the States, came back to Belgium and retired in Hoegaarden. He died of cancer at the age of 86. Belgiuminabox now offers a 10% discount on Hoegaarden glassware (0.25L and 0.50L). Author KurtPosted on May 10, 2011 May 17, 2011 Categories Other Belgiuminabox Topics3 Comments on Master-Brewer Pierre Celis of Hoegaarden passes away.